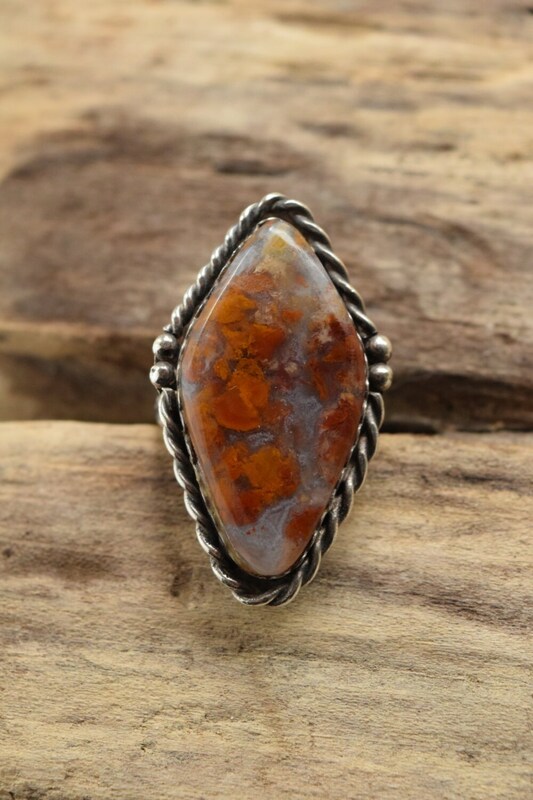 This big agate statement ring is just what you need to round out your ring collection. 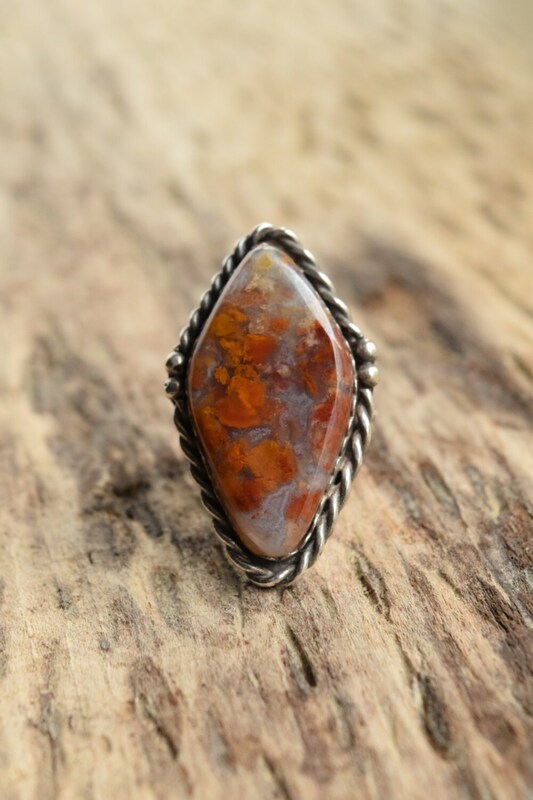 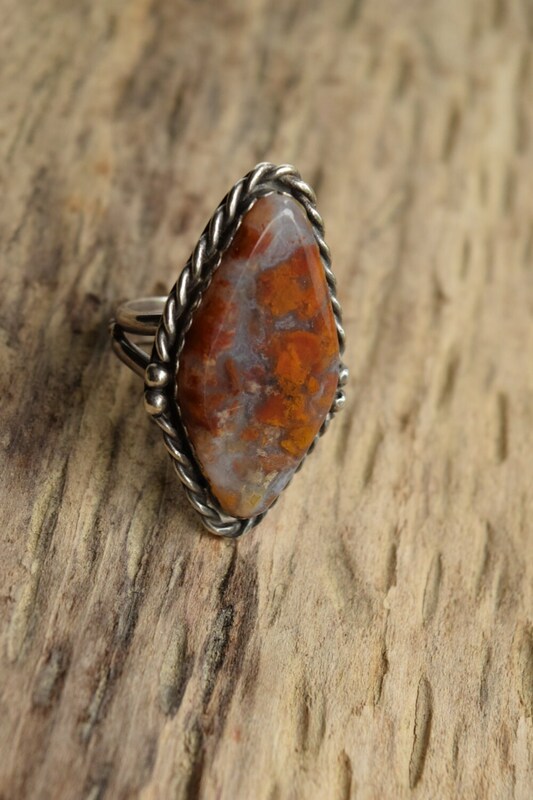 It features a large diamond shaped agate gemstone, rich in rusty reds and oranges, set in sterling silver. 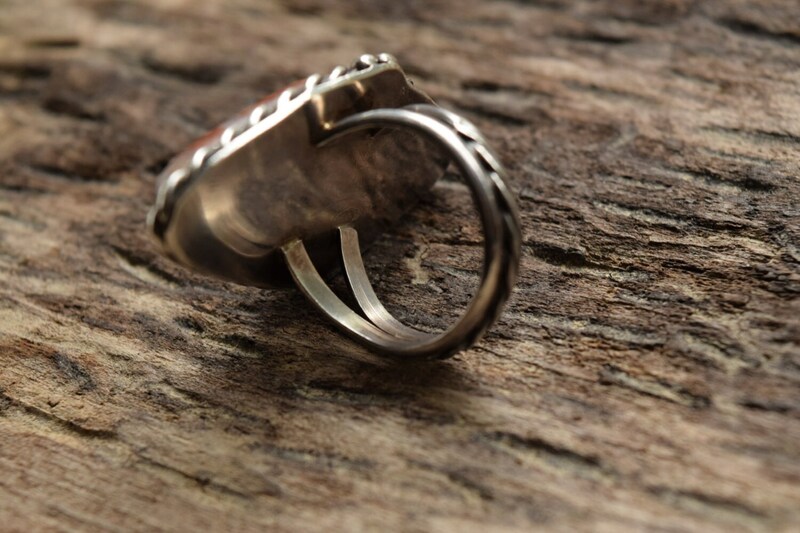 The attention to detail is wonderful on this size 8 ring, with both the setting and band accented in a beautiful roping design. 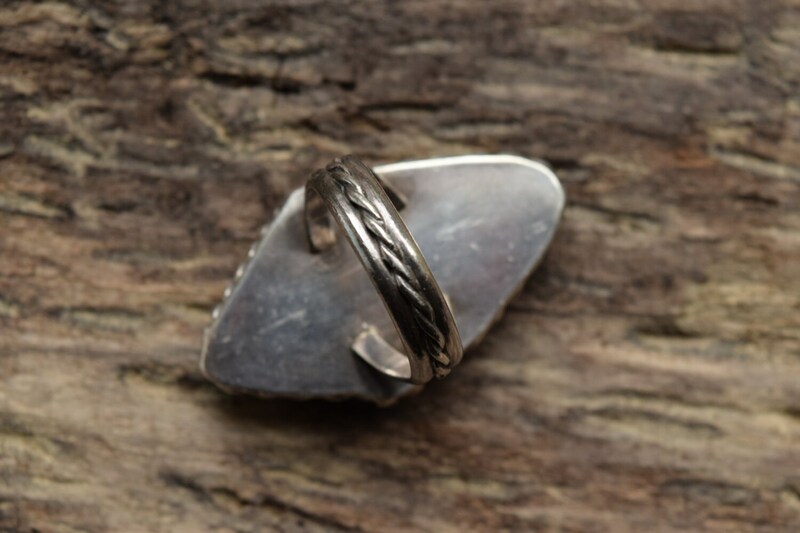 Condition: Good to Great previously owned condition - minor scuffing and surface scratches on band and silver, consistent with age.